Sam Allardyce has made his first signing as West Ham manager by securing Stoke defender Abdoulaye Faye on a free transfer. 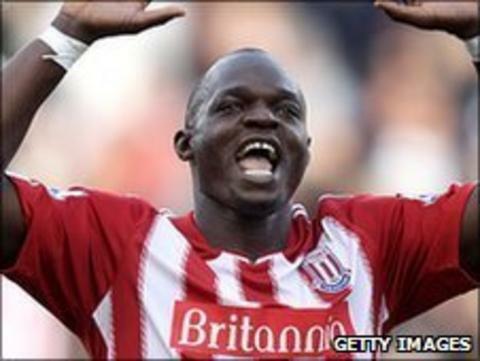 Senegal international Faye, 33, was informed by the Potters he would not be offered a new contract this summer. He will arrive at Upton Park when his current deal expires at the end of this month. Allardyce has signed Faye on two previous occasions, having taken him to Bolton and Newcastle. The centre-back is relishing the prospect of linking up with the former Blackburn boss once again as the Hammers bid to return to the Premier League at the first time of asking. "I am very happy to be here at West Ham - this is a great club, a big club and I cannot wait to get started here," Faye told the club website. "For me to come here was no problem, I had other clubs' offers, but I was happy to come here. "People may ask why, as the team are in the Championship, but I am excited at the challenge to help get the team back to the Premier League, where I think the club belongs."